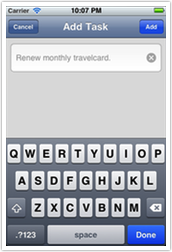 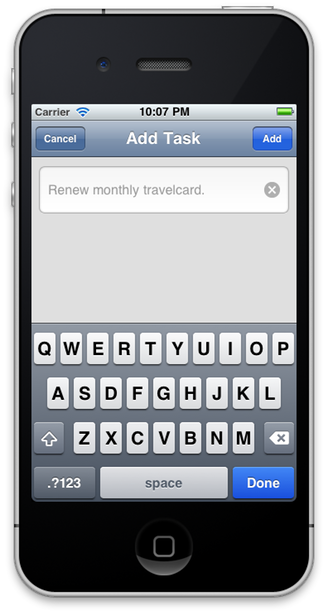 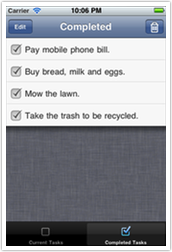 Easily arrange your current tasks, or tap to mark them complete. 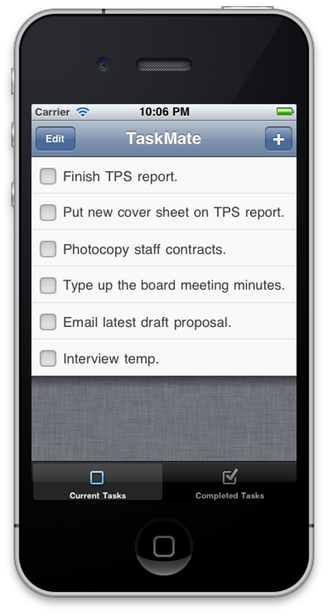 Your completed tasks are readily accessible. 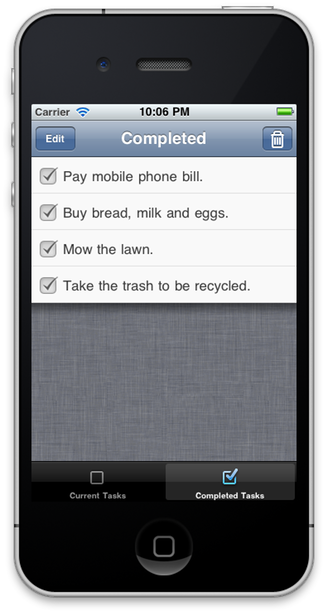 Quickly add new tasks with just a few taps. 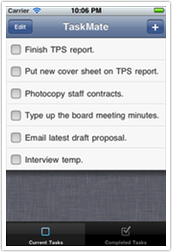 Note: TaskMate for iPhone does not sync with TaskMate for Mac.